We all love holidays and have done for centuries! Whether we’re holidaying across the UK or taking a trip abroad, we always look forward to our short break away from work. However, did you know that a lot of wealthy Romans took holidays that lasted two years? Although our holidays don’t tend to be as extravagant as the Romans, more people seem to be embarking on travel adventures than ever before. Despite our holidays not lasting as long two years, travel is something that we all want to do. So much so, the Office for National Statistics reported that in 2017 there were 72.8 million visits overseas by UK residents, showing a 3% increase on the previous year. 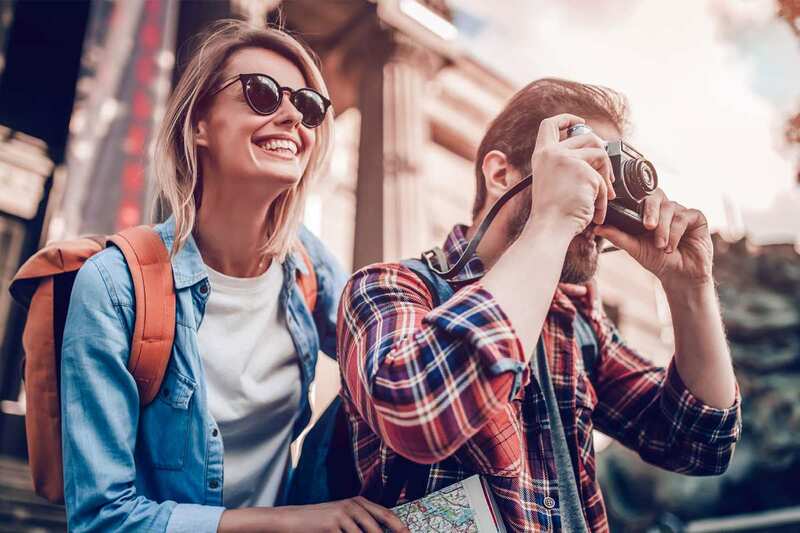 This figure is only set to increase even further after a survey of 25,000 British travelers found that 11% of respondents would like to travel more in the future. The travel industry is witnessing change, and this is why more alternative vacations are on the rise. But what does that actually mean for holidaymakers, local communities and businesses across the globe? Are we actively searching for these holidays? For Brits looking to head abroad, more people are actively searching for search terms like ‘eco-friendly holidays’. Along with veganism, flexitarianism and other lifestyle choices, these types of holidays have captured the public’s attention and will likely become the norm for future generations who will be more environmentally conscious. Did you know that 87% of global travelers want to travel more sustainably? With such high figures, it’s clear that this is a market more businesses in the hospitality and travel market should be tapping into. You could argue that sustainable travel is subject to a person’s environmental standpoint, and while this is true, the same report also revealed that 46% of people believe sustainable travel is staying in an eco-friendly or green accommodation. People are consciously making the choice to travel this way though. For example, 40% said that they wanted to reduce their environmental impact. On the other hand, 34% said this was to have a locally relevant experience and a further 33% said they wanted to feel good about where they rested. But what are the key reasons? 60% said that this idea sparked from taking in the natural sights from their previous trips – such as coral and rain forests. Also, 54% said that they had noticed the visible impact tourism had on places that they themselves had visited, while 47% went on to say that their decision was after seeing the positive impact sustainable tourism had on local communities. Furthermore, 32% said they felt guilty about how their holidays impact the environment. A question on everyone’s mind is whether these holidays are affordable? As these trips tend to require fine planning and research, they could potentially be more costly than your average trip to Spain. However, 67% of travellers in the report said that they were prepared to spend up to 5% more on their travel to ensure it had a low impact on the environment. The way we plan our trips away may change in the future too. Figures from the same survey found that four in 10 people say that booking sites should offer an eco-friendly filter. Although this doesn’t seem like a step a lot of travel sites are taking, some have began adding pages to represent these trips and advertise them publicly. As well as this, 32% of people call for an international standard that can identify eco-friendly accommodation. This could make many travel and hospitality businesses stand out. Hopefully, 2019 will be the year where we see more sustainable trips! If you venture on one of these holidays, you’ll have a unique experience that will be treasured as one of your greatest memories. The Meet the People Tours allow small groups of people to travel to places like India, Bangladesh, Nepal and more which makes for the perfect opportunity to discover more about sacred cultural traditions and how this differs from the west. Just like the fair trade products we buy, these trips are organised so that the people living and working in these communities are better off as a result. Holidaymakers can integrate themselves into the communities who are behind the products we frequently buy — such as fair trade coffee! This kind of experience will outperform your expectations. From visiting development projects and having your ideas of developing countries challenged, you’ll truly feel that you’re making a difference from the moment you arrive to the moment you leave.